What is the root cause of the problem and how can this be corrected? It's probably a result of the background image not being the same size as your display. I didn't know why we were supposed to scale the image to match exactly, but that looks like the reason. Try scaling (and cropping, if necessary) the image to the exact pixel size of your display. (GIMP is a very good tool for this.) If you don't know the exact size of the display, for example if you have a Retina display,  > About This Mac will tell you. Not the answer you're looking for? 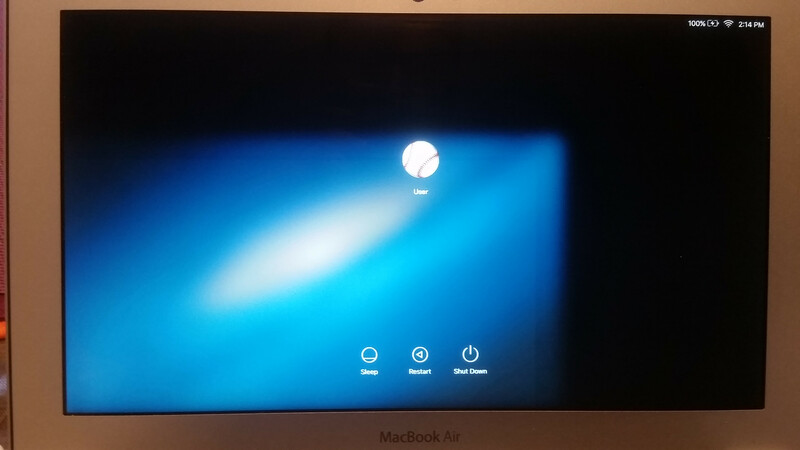 Browse other questions tagged el-capitan login-screen .